First up is the Progress MS-03 spacecraft, set for liftoff atop a Soyuz U rocket on Saturday to begin a two-day trek to ISS while – half a world away – SpaceX will put its Falcon 9 rocket through a Static Fire test to set up for a Sunday night liftoff with the Dragon SpX-9 spacecraft. 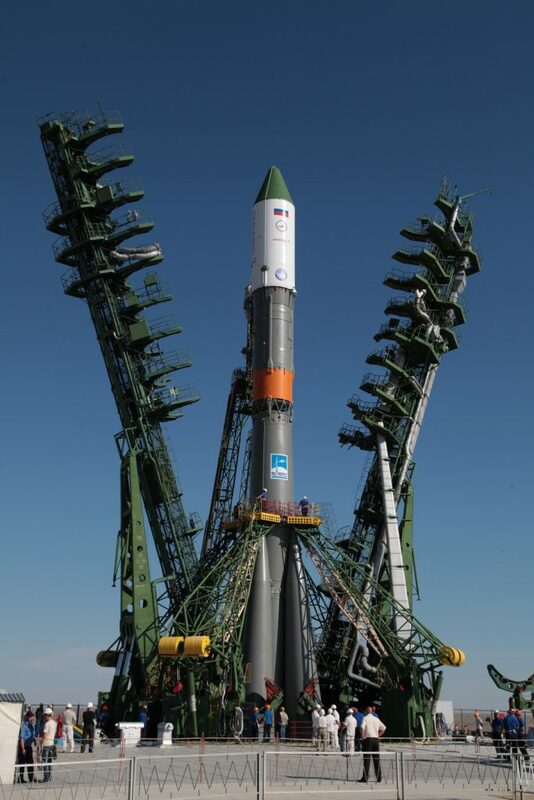 Progress MS-03, loaded with 2,400 Kilograms of food, fuel and supplies, is working towards liftoff on Saturday at 21:41 UTC, gearing up for a nine-minute ride into orbit to begin a 34-orbit rendezvous with ISS for docking at 0:22 UTC on Tuesday. If launching on time at 4:44 UTC on Monday, Dragon – carrying 2,257kg of cargo – will be inbound for a capture by the Station’s robotic arm at 11 UTC Wednesday. Progress MS-03 is the second launch from Baikonur in just over one week, coming on the heels of the successful launch and two-day rendezvous of the inaugural Soyuz MS spacecraft last week with Anatoli Ivanishin, Takuya Onishi and Kate Rubins on board. 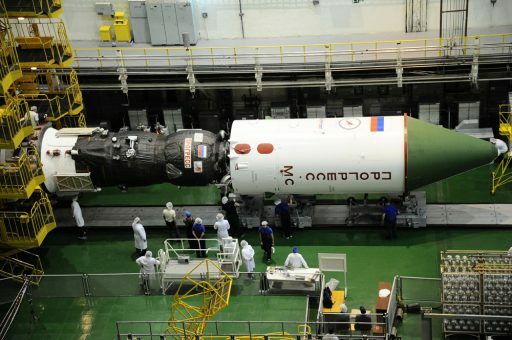 The processing of the Progress MS-03 spacecraft at the Cosmodrome started several months ago with the delivery of the vehicle for final testing. Propellant loading was completed in the first week of July to fill the vehicle with fuel for its propulsion system, propellants to be transferred to ISS, plus compressed gases to pressurize the spacecraft’s tanks and top up the Space Station’s atmosphere. This is the third flight of the modified Progress MS spacecraft series and the first to fly with an external deployment mechanism for CubeSats. Four containers are installed on the exterior of the Progress spacecraft for a total capacity of 24 CubeSat Units. 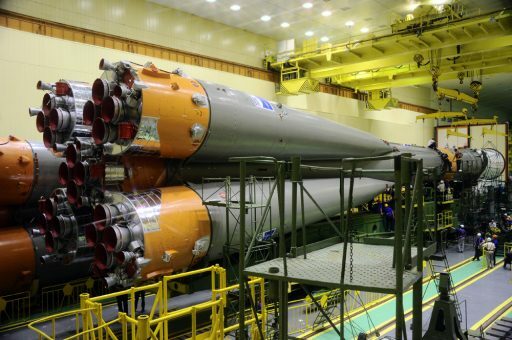 How many satellites are carried by Progress MS-03 and when in the flight the deployment will take place has not been disclosed in the run-up to liftoff. 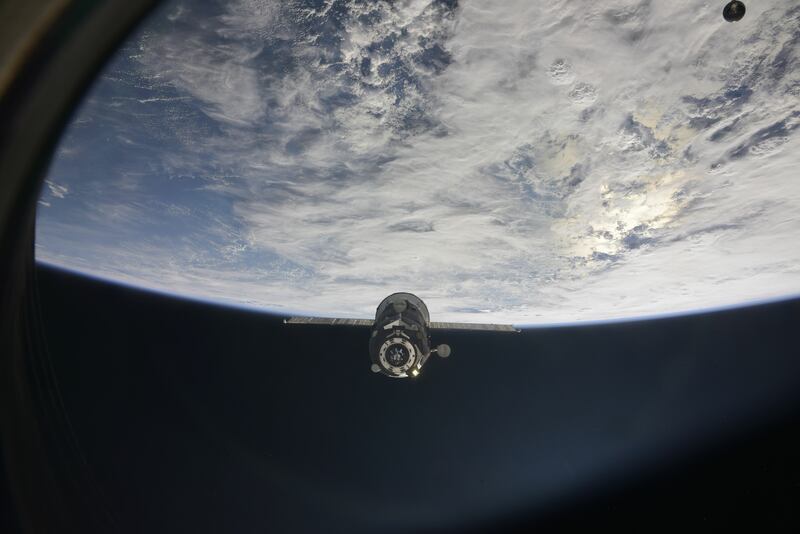 The first two flights of the Progress MS in December and March served as shakedown missions of the systems upgrades ahead of the first crewed Soyuz MS mission employing the same new components. No issues with the new MS systems were noted on any of the flights, though Progress MS-03 will again stick to the longer, two-day rendezvous profile to provide time for additional testing of the modified systems. The MS series of spacecraft introduces a number of improvements, giving the spacecraft the ability to communicate through the Luch Data Relay Satellites covering 70% of the craft’s orbit, completing autonomous orbit determination via satellite navigation and complete a more accurate rendezvous through relative navigation and the use of an improved KURS radio navigation system. Furthermore, Progress MS hosts additional debris and meteoroid shields, a secondary drive mechanism in the docking system for added redundancy, and more efficient power system with improved solar cells and more batteries. With Soyuz MS out of the Processing Facility and on its way to ISS, Progress MS-03 returned to Site 254 on July 8 to complete final inspections ahead of being installed atop its payload adapter and being enclosed in its protective launch shroud on Tuesday. Weighing in at 7,290 Kilograms, Progress MS was rolled over to the MIK Launcher Integration Facility on Wednesday where its partially assembled Soyuz U rocket was already waiting for its arrival. This launch will put Soyuz U closer to its swan song. 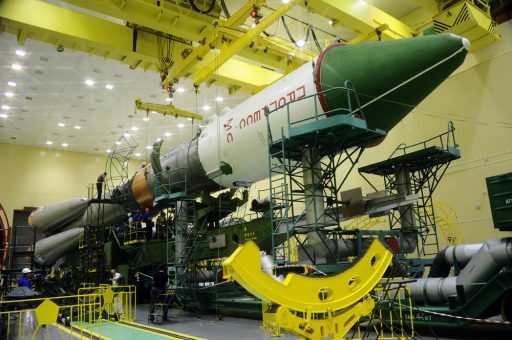 Out of production, Soyuz U will be retired after a career of over four decades and more than 750 launches, including support of the Progress and Soyuz programs. It is understood that the launch of Progress MS-05 in February 2017 will mark the last flight of Soyuz U with all subsequent Progress flights switching to the 2-1A version of the Russian workhorse. The crewed Soyuz craft will continue using the antiquated Soyuz FG for the time being until the modern Soyuz 2 can be fully certified to lift humans into orbit. A switch from Soyuz FG to the Soyuz 2 is currently not foreseen until the middle of the next decade. 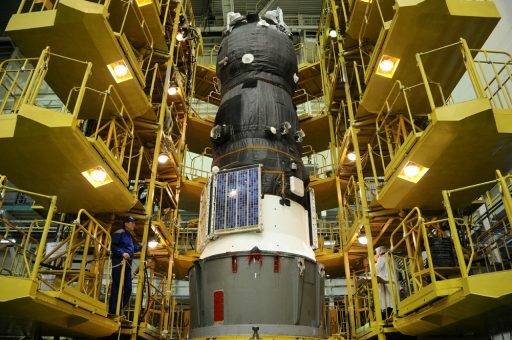 Arriving at the Launcher Integration Facility, Progress was mated with the Block I third stage of the Soyuz U rocket before the stack was installed on the 27.8-meter long Core Stage. The four 19.6-meter long boosters had been installed around the core in the weeks ahead. 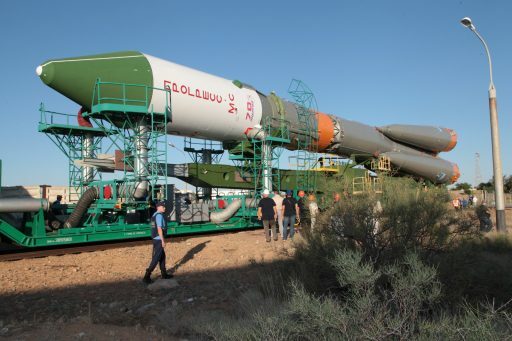 Meeting in the evening hours on Thursday, the Russian State Commission reviewed the status of launch preparations and green-lit Friday morning’s rollout to the launch pad. 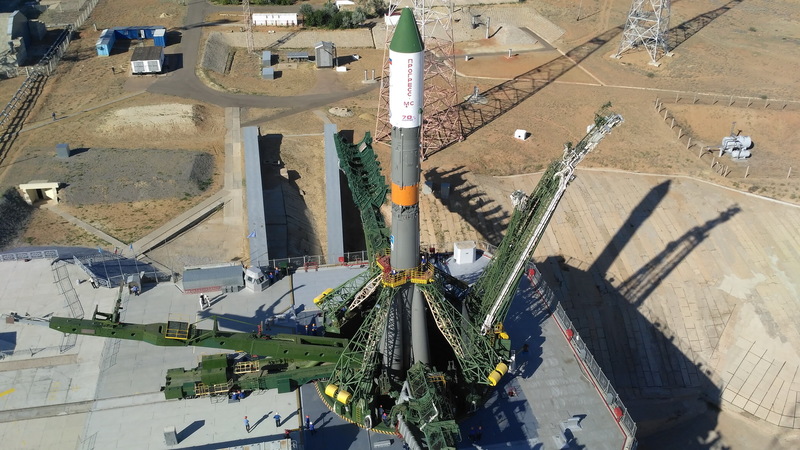 The 46-meter tall Soyuz emerged from the assembly building at the traditional early morning hour and made its way to the launch pad at Site 31/6 – primarily used for uncrewed launches of the Soyuz 2 rocket. After arriving at the pad, Soyuz U was raised to its vertical launch position, towering atop the concrete base of the pad. The two Service Structure halves were then raised to provide access platforms to workers to begin the process of hooking the various umbilical towers up to the Soyuz rocket. Detailed testing will be performed over the course of the day on Friday to clear the Soyuz to head into an eight-hour countdown to set up for liftoff at 21:41:46 UTC Saturday. Firing up its RD-117 and 118 engines, Soyuz U will soar to a thrust of over 400 metric ton-force to overcome counterweights and start rising from its launch pad. Soyuz U will swing to the north-east on the standard departure path from Baikonur to a 51.65-degree orbit. Heading uphill, Soyuz passes the speed of sound and experiences Maximum Dynamic Pressure just a minute into its flight with the boosters doing most of the work to accelerate the rocket. Shutdown and separation of the boosters is expected at T+1 minute and 58 seconds after each burned though 39,600 Kilograms of propellants to send the Progress on its way. Departing the rocket, the four boosters will be pushed outward and begin their tumble back to Earth for an impact 350 Kilometers from the launch pad. 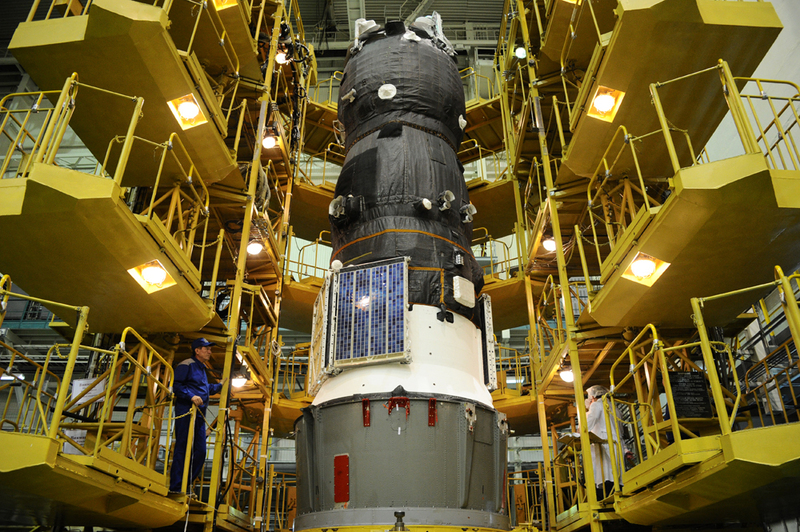 Relying on its core stage alone, Soyuz will continue its trip into orbit with a total thrust of 102 metric ton-force. The protective payload shroud will separate at T+2 minutes and 41 seconds when the stack will be pushing through 85 Kilometers in altitude where the air is sufficiently thin to allow Progress to be revealed. The 298-Kilonewton engine will fire for three minutes and 58 seconds aiming for an insertion orbit of 193 by 245 Kilometers at an inclination of 51.65 degrees. Separation of the Progress MS-03 spacecraft is expected eight minutes and 48 seconds after launch to mark the start of a series of time-tagged commands that will deploy the craft’s solar arrays and KURS navigation antennas followed by the transition of the vehicle to orbital flight. 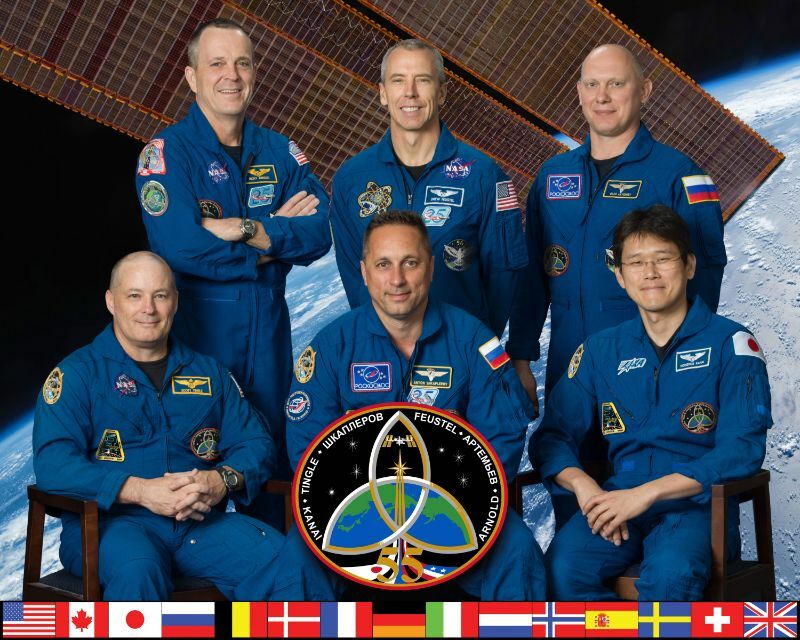 The Progress MS-03 spacecraft is not using the expedited rendezvous profile to ISS in order to leave plenty of time for testing of the spacecraft before coming close to the Space Station. The standard two-day mission profile calls for a set of two orbit-raising maneuvers to be performed by Progress on its third orbit around Earth. These maneuvers are adjusted after launch based on the initial insertion obit of the craft to deliver Progress to an orbit over 300 Kilometers in altitude with a third burn on orbit #18. 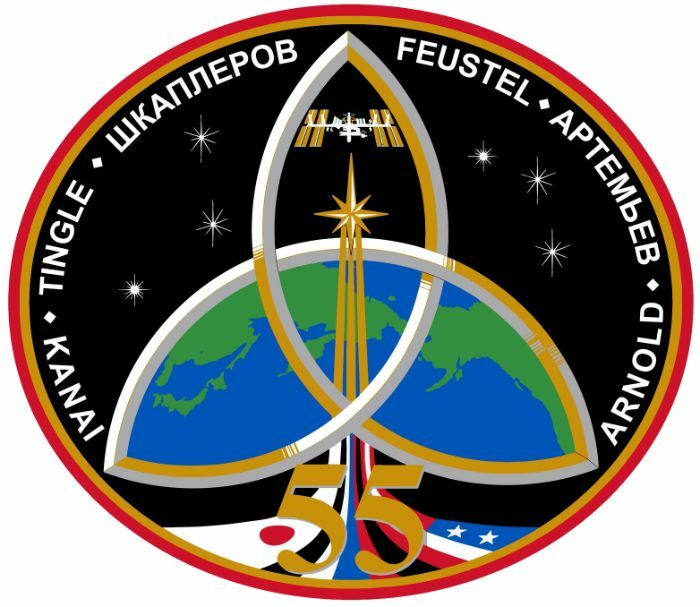 The Automated Rendezvous will be initiated late on Monday as Progress begins to use its KURS System to guide itself to the vicinity of ISS through a series of rendezvous burns, setting up for a flyaround and a completely automated docking to the Pirs module of ISS expected at 00:22 UTC Tuesday morning.